Project was completed using new construction Paradigm vinyl windows with sill nosing and 5 inch casings. 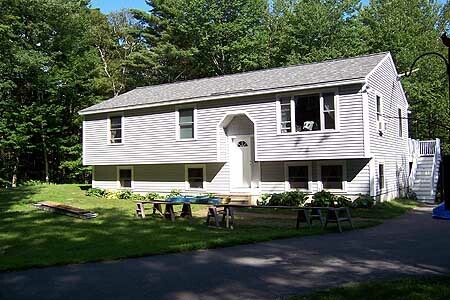 Siding is Certainteed Mongram Double 4 contrasted with Certainteed Cedar Impressions shingles in recessed areas. Deck built with Brock's vinyl railing and decking, is trimmed with Aztec trim boards.